Window Manipulator will let you use your mouse to grab a window not only in the title bar but anywhere on its surface to drag it. Using instead the right mouse button lets you resize a window by clicking anywhere on its surface and not only on its corner or sides. Note also that Window Manipulator will let you resize windows that are not normally resizable, not even by dragging their sides or corners! The program lets you also bring a window instantly to the center of the screen and return it back to its original location when you finish working with it. Window Manipulator is a program I can’t live without! Activator will minimize all inactive windows (the windows that are behind the one you currently work), letting you enjoy an absolutely clean environment, leaving only your recently active window over the wallpaper of your desktop. Activator is useful especially when you need to concentrate on your work. TaskLayout allows you to save and restore a set of specified apps / windows with corresponding position on screen in a click of your mouse or even with a keyboard shortcut. Dual Monitor Tools include: Swap Screen, providing hotkeys for common operations on open windows. This includes operations like moving the active window to the next monitor, minimising all windows on a single monitor only, rotating the contents of all monitors. It also allows you to restrict mouse movement between monitors. Dual Wallpaper lets you specify a different image on each monitor, or spread an image across two or more monitors or if you have enough monitors, a combination of these. DisMon will disable any secondary monitors while an application is running, and will re-enable those monitors when the application has finished. This can be quite handy when running certain games that don’t scroll correctly if you have more than 1 monitor enabled. Dual Snap allows you to capture the screen of the primary monitor and display it on your secondary monitor. WinSize2 will move windows automatically to a predefined place and / or resize their width and/or height to a predefined size. If you use different screen resolutions you can store individual window positions for each of the resolutions. WinSize2 identifies the Windows to be moved and/or resized by the window’s title. Each time the window is opened (new created) WinSize2 compares the title with the internal list of titles. A window will not be moved any more by WinSize2 until it is closed and opened again. Windows can be identified by the whole title or by parts of it. GridMove builds upon the Aero Snap idea, providing more flexibility, custom ways to snap windows, and customizable shortcut keys. GridMove defines a layout similar to a grid on your desktop, to which you can easily snap windows. The program comes bundled with powerful predefined grid templates, but also provides ways of creating one’s own grid or using other users’ grids. Command mode is very useful for moving a window somewhere real fast, or for cicling grids using the keyboard. If you press a number, the window will be moved to the corresponding grid part. If you press N GridMove will switch to the next grid on its list. If you press M, the window’s maximize state will be toggled. If you press 0, the window will be minimized. If you press R, the script will be reloaded. GridMove supports multi-monitor setups. 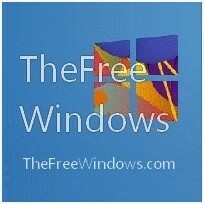 FreeSnap uses hotkeys to center windows or send them to the corners of the screen. The arrow keys resize windows, and the corner keys (7,9,1,3) move windows to the corner of the screen. The “5” key on the number-pad centers the window on the screen without resizing it. The number-pad “Enter” key will maximize the window when it is normal size and vice-versa. The “0” key minimizes the window. When multiple monitors are detected, FreeSnap remaps the “5” key to move the window from one monitor to the next. Unfortunately you cannot define custom hotkeys, a problem that may be fatal especially for those of you who already need certain keys for other tasks. EasyMon will let you organize your applications across different monitors attached to your computer. You can customize the key combinations (keyboard shortcuts or hotkeys) to use in performing various actions with EasyMon. WinSplit Revolution will let you organize open windows by tiling, resizing and positioning them to make the best use of desktop space. To affect a window you can use a pop-up virtual numpad or hotkeys on your keyboard. The window’s positioning respects the numeric keypad scheme. Typically: “Ctrl + Alt + 1” corresponds to “bottom-left”. AutoSizer resizes programs, keeping them at a specific size or keeping them maximized. It supports maximizing to specific monitors on multi-monitor computers. You can use the Always On Top system tray menu to quickly position specific programs above all others.